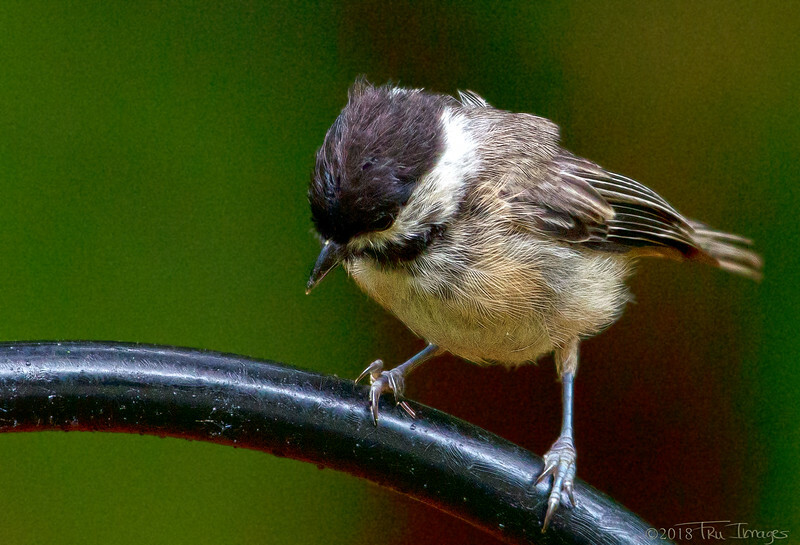 A fast moving Chickadee stops for a second, allowing me a quick photo! Nice close-up of this one--you are right about their zipping around very quickly. What an excellent shot and magnificent detail!